Petri H. Lundén, the grand old man of Swedish artist management with over 30 years of experience, is or has been managing 3 out of the 5 biggest acts to ever come out of Sweden: “Ace of Base”, “Europe” and “The Cardigans”. 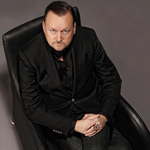 Petri has indeed earned his stripes, especially trying to manage the managers of the world by having been the chairman of the global managers organisation IMMF (International Music Managers Forum). His professional background is firmly rooted in live music as he has promoted acts such as Neil Young, David Bowie, Nirvana, Beastie Boys, Oasis, Blur, Björk, Green Day or Robbie Williams before selling his company Motor to EMA Telstar (later SFX/ClearChannel/LiveNation). Moreover, Petri is a boardmember and investor in the UK based footballsite “Caughtoffside.com”, the social sportsnetwork “Fanatix.com” and also a vice-chairman and part owner in the largest independent digital aggregator in the Nordic region “Phonofile” and chairman and part owner of Swedens most succesful rocklabel “Gain”.